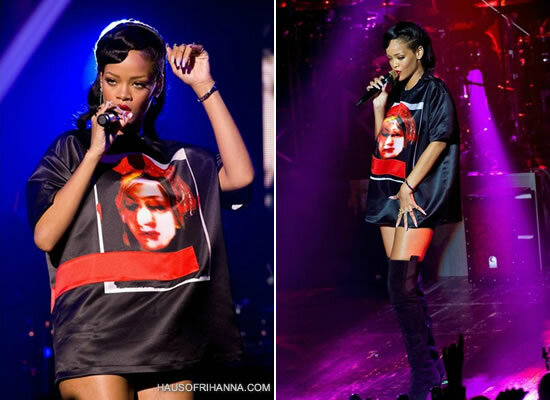 Rihanna performed in Paris on day four of her 777 tour. Once again styled by Mel Ottenberg, Rihanna took to the stage in her simplest outfit yet. She wore a shirt from Givenchy‘s Spring/Summer 2013 menswear collection with suede over-the-knee boots, also from Givenchy.